A fascinating ungrouped achondrite brachinite-like meteorite, North West Africa 5400 provides a spectacular visual display of an object associated with the Earth at the time of its formation. 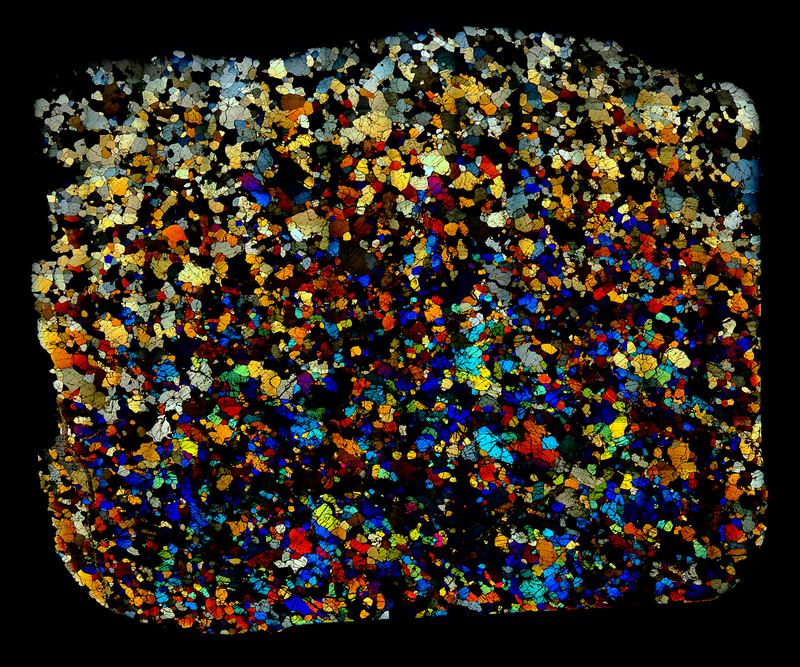 It is speculated that the parent body of this meteorite was either Earth itself, before the Moon formation or Theia — the hypothesized object which collided with Earth. More information here and here.